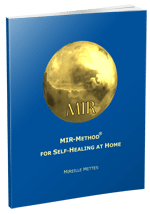 Home » Articles » How was the MIR-Method developed? How was the MIR-Method developed? Developing the MIR-Method was quite an usual journey. My patients taught me the way! In this video I explain how I discovered the stroking of the hand. Besides that I show you what I discovered when I studied over 40 alternative healing methods. It will become clear to you why they all work. And how they work. After that I share some results with the MIR-Method. Hoping to inspire you! Have a great day and… may the MIR-Method bring you much good! does this method help with Alzheimers? We don’t know yet, because we haven’t had any results about Alzheimer’s yet. We did have one report about somebody’s mother. She was suffering with Dementia and when he treated his mother, she cleared up again for one day. Maybe in a year’s time we will know the answer. hope you may be willing to give it a try?